Belonging to a “forbidden kingdom”, the top tourist attractions in Saudi Arabia are unsurprisingly mysterious to a Westerner. Not much is known about the country save for a few stories they heard or read about. But little too do they know that it is also home to some of the most magical places on earth. That alone makes it one of the most sought after destinations on the planet. Saudi Arabia is part of the Middle East and known to be the region’s largest Arab state. It occupies most of the Arabian Peninsula and is also the world’s second largest Arab nation next to Algeria. Around its borders are Jordan, Iraq, Kuwait, Qatar, Bahrain, the United Arab Emirates, Oman, and Yemen. It is the one place you shouldn’t miss during your trip to Saudi Arabia. The ancient site was built by the Nabataeans, the same people who carved Petra in Jordan, and was considered their second city. While the tombs here are less impressive than those found in Petra, the sandy landscape and rock formations still make it an exceptional attraction. There are over about 131 tombs in Madain Saleh and 45 of them contain late Aramaic scripts. Situated in Riyadh, the National Museum isn’t just one of the top tourist attractions in Saudi Arabia. It’s also one of the best museums in the Middle East. The whole eight storeys of the National Museum showcases Arabian history, culture, and art. It is an ideal starting point for travelers who wish to know more about Saudi Arabia in the quickest way possible. It was built and designed by British architect Norman Foster in 2000. 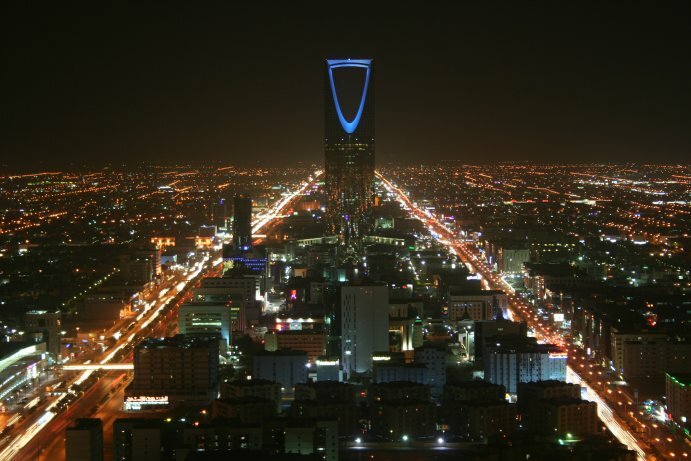 Although modern, it was the first building to rise above the Riyadh skyline. Towards the tip, the Al-Faisaliah Tower has a globe made with more with 655 glass panels and measuring 24 meters in diameter. The very tip which has a crescent rises nearly 270 meters above the ground. The Kingdom Tower which soars 302 meters into the sky is another must-see landmark in Riyadh. The souq is also included in the top tourist attractions in Saudi Arabia. It is the biggest and most extensive traditional souq within the kingdom. Traders from all over the country come here to sell their goods in market stalls. Souq Al-Alawi may feel more like a modern souq but it still buzzes with the same traditional activities from the old days. It is a beautifully restored coral house in Jeddah that once belonged to one of the most influential trading families in the city. It is characteristic of the architecture in Jeddah but unlike many of the old homes in the city, it looks much more like its original state. Posted in Destination and tagged with Architecture, culture, history, Markets, Middle East, museums, Ruins, Skyscrapers. RSS 2.0 feed. « World Cup Fans Flock to Copacabana Beach, Brazil!